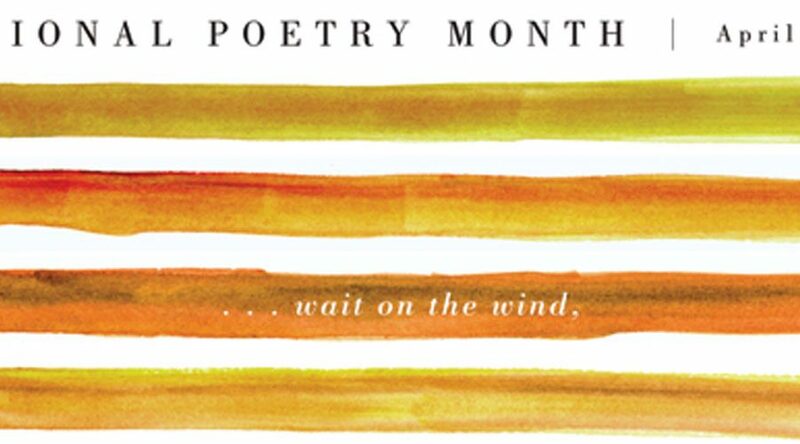 After much planning and anticipation and poet wrangling, Poetry Month has finally arrived, and boy, am I thrilled! Before we dive right in with our first poet of the month, I just want to take a moment to thank all the participating poets for their incredible talent, patience, and generosity of spirit. They’ve all been doing a great job of traipsing through the woods to bring you some really delightful poems on video. 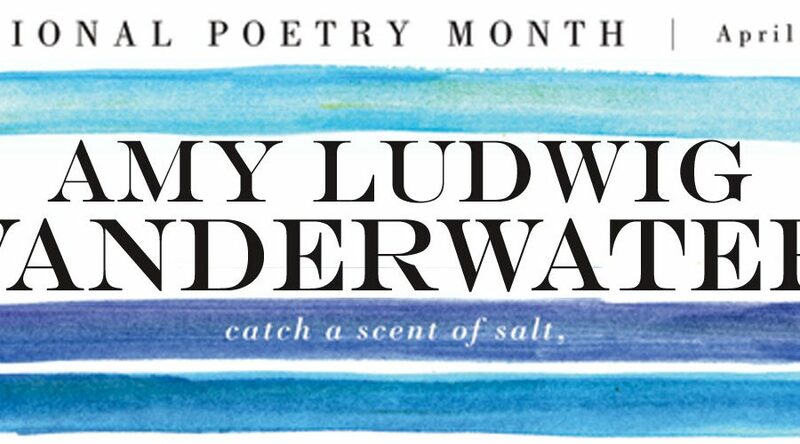 If you missed the whole lineup, take a gander at the Poetry Month 2012 Sneak Preview to see what the month has in store. And if you don’t want to miss any of the poets, just subscribe to the blog or “like” NWR on Facebook, and you’ll be notified of each post as it comes off the press. Surprise! Not only is Kenn an accomplished children’s poet, he’s also a tech savvy kinda guy who suggested eschewing the pen in favor of a fancy Skype interview. I’m always game for something new, so here is the first video interview on No Water River. Yes, I do sound like I’m speaking to you from another dimension — perhaps Cloud 9? — but Kenn still sounds like an Earthling, and that’s what’s important. An abridged transcript follows. Kenn: We already know who you are, so can you tell us where you are and how long you’ve been a rhyming fool? I live in Spokane, Washington, and I’ve been writing funny poems for kids for eighteen years now. So in eighteen years, how many poems do you think you’ve written? About a thousand, and I’ve put over six hundred of those on my website, Poetry4Kids.com. We just heard you read “My Hamster Has a Skateboard.” ‘Fess up, now: is this an autobiographical poem? Are you a skateboarder or particularly clumsy or a particularly clumsy skateboarder? Well, it’s semi-autobiographical in that I’ve never had a pet hamster, but when I was a kid, I lived on a skateboard. I don’t own a skateboard now, but I keep thinking maybe I should get one. Is your opus focused mainly on smashing, crashing, maniacal hamsters, or do you do other stuff, too? Oh, I write all sorts of poems. I just like to make kids laugh, so I write funny poems. And one thing I’ve noticed is that I can always improve a kids’ poem by adding some people running and yelling and screaming. (Active verbs and a little bit of chaos?). Absolutely! And The Tighty Whitey Spider has about 50 poems about animals doing extreme sports with plenty of chaos. (So what does the tighty whitey spider do?) That’s the itsy bitsy spider in underwear! He goes down a water slide in his tighty whities and he gets a water wedgie. So do you write for grown-ups too, or are you strictly a kids’ poet? I am strictly a kids’ poet. I have written a few poems for grown-ups, but even those are funny. The only thing that makes them for grown-ups is the subject matter; they might be about the presidential election rather than school or lunch or other things that kids relate to. (Or if you’re like my twins, dung beetles!) Ooh, yes, dung beetle poems! I haven’t done one of those yet. That sounds like fun. (We’ll do a dung beetle poem challenge.) Okay! What’s your favorite part about writing for children? I visit 60 or 70 schools a year in person and another 40 or 50 via Skype, and I must say that writing poems is great, but probably the best part of my job is when I get an email from a parent or teacher or even a kid telling me that they used to hate to read or write. Then they discovered this funny poetry stuff, and now they’re writing and really enjoying it or won a contest or something — then you know you really inspired somebody and changed their attitude about reading and writing. Do you remember what your very first poem was? What was the title? Yes! My first poem was called “Scrawny Tawny Skinner” and it was about a little girl who wouldn’t eat her dinner, so she grew thinner and thinner and thinner until she disappeared. And that poem was inspired by Shel Silverstein’s poem “Sarah Cynthia Sylvia Stout,” which is about a little girl who wouldn’t take the garbage out. So that first poem led to a few more, which led to a hobby, which led to a career, and now this is what I do! Do you have formal training in writing poetry, or are you just a natural? I did take a class in college, but it wasn’t so much a writing class as it was a class about reading the famous poets and understanding poetry technique. So that’s my only formal training, though I will say that this is not a natural skill for me. I’ve read many, many, many books on how to write poetry, so I’ve learned the techniques — and plus, I’ve practiced an awful lot. Oh! The most important advice I can give is to get a pencil and a piece of paper and sit down! That might sound a little flippant, but the truth is that it’s so much easier to do anything else — get a snack, play a game, pet the cat — than sit down with pencil and paper and say “Okay, I’m going to write something.” The second thing I like to tell kids is to write about what they love, whether it’s pizza or soccer or music or bananas, because it’s easiest to write about what you know the most about. Ha! Yeah, don’t bother — I don’t need the competition! No, I think it’s marvelous. I love it when I discover new poets who are writing wonderful children’s poetry. I will say that it was very hard to get poetry published when I started ten years ago, and now it’s even harder. So what I tell people is, why worry about trying to get a major New York publisher interested in your poetry when you can just start a blog? Just put your stuff out there for the world to see. You may not be getting paid for it — yet — but in the age of the Internet, this is how you get known. And if you really want to publish, nowadays it’s so easy to self-publish for free on Kindle or ebooks or to use a print on demand service. I really think that’s the way to go for a brand new children’s poet. And then you just keep at it, and in a few years you might find yourself with a body of work that publishers are going to be interested in. Even if it’s already been published on your website? I’ve never had a problem with that. In fact, because I have all my poems on my website, I get reprint requests from publishers on almost a daily basis — maybe they want to use a poem in a magazine or anthology or textbook. And they didn’t find the poems in a book; they found them on my website. Well, that’s good to know! So many of us do have blogs, and that is a concern I’ve heard a lot from writers: But it’s already published on my blog! No one will look at me! I don’t have a problem giving my poems away for free because there’s always more poetry. So I’d also want to say to people, don’t worry about it. If someone doesn’t want a poem on your website, write a new one! Absolutely! And I used to think, Well, I’ll just put a few poems on the site, so that way people will get a taste of how good they are and then they’ll want to run out and buy my books. Now I’ve totally changed my opinion on that. Now I put everything on my site, and have found that it makes people want to get the books even more. I think lots of readers at No Water River will be pleased to know that, so thank you for the good advice! Now let’s get back to kids for a second. If you could recommend that children read one book of children’s poetry, or one children’s poet in particular, which or whom would it be? Wow, I’d hate to narrow it down to one, but if I had to, it would be one that most kids in this country probably haven’t seen. I would recommend the book Bubblegum Delicious by Canadian poet Dennis Lee, who is most well known for his book Alligator Pie. Bubblegum Delicious is so wonderful, and can make you laugh on one page and cry on the next and give you goosebumps on another. I can’t speak highly enough about that book. Of course! All my info is below. Make sure when you get to my website, you click on the picture of the Tighty Whitey Spider, because that’s how you access all the poems. There’s lots of other stuff too, like poetry writing lessons, video games, a monthly contest where I give away a free ebook, and even a rhyming dictionary. Kenn, I can’t thank you enough for stopping by and adding “My Hamster Has a Skateboard” to the video library here at No Water River, which I hope is going to grow and grow and grow with more established poets like you, and also unpublished poets who are writing good poetry for kids. That’s what we’re trying to do here, and I thank you so much for taking the time to be a part of it. Well, thank you for having me, Renée. It’s been wonderful. Kenn’s book The Tighty-Whitey Spider is all about animals, like the hamster, doing extreme sports. Try this: pick your favorite animal and your favorite sport, and write a poem like Kenn’s. Find out how and where your favorite sport began, starting with Scholastic’s timeline of skateboard history. Check out these engaging skateboard lesson plans covering poetry and history and graphic design, as well as the wonderful Skateboard Science pages at Exploratorium.com. A-Z Animals offers fascinating facts about hamsters. In this biology lesson plan, students use their senses to determine the similarities and differences between hamsters and frogs. Artists Helping Children has compiled dozens of hamster and guinea pig crafts including puppets, games, masks, and origami. will entertain us on Friday the 6th! Video Location: Kenn’s broken-down house (blame the hamster!). Spokane, Washington. “My Hamster Has a Skateboard” copyright © 2010 Kenn Nesbitt. All rights reserved. Wow! Wow! Wow! That was an awesome poem and an awesome interview! I visit Kenn Nesbitt’s site often after running into his book at the public library this past year! I loved hearing that it is okay to put our poetry on our website. I have held back because I thought that it would interfere with getting a publisher to ever consider my work. Thanks to both of you, Renee and Kenn, for an enjoyable start to my morning. And Penny, believe it or not — when Kenn said that during the interview, you are the FIRST person I thought of. I knew you’d like that part. 🙂 Now get me your darn video! Yea! A Penny flamingo video! I just posted on ‘jots’ about our dear Wingo. Maybe that will help inspire you! Renee, what a fantastic start to your NPM line-up! I’ve visited Kenn’s website and appreciate the advice he shares here. And hey, I’ve actually written a dung beetle poem as part of a children’s collection of African safari poems. Maybe now I should write a skateboard poem? Or a hamster poem? Or even purchase one or the other? Errr, I think I’ll just leave that to Kenn. Thanks so much for what you’re doing, Renee. The videos are wonderful! It really changes how I “hear” a poem. Keep ’em coming! Glad you enjoyed it, Irene, and thanks for your kind words. And you’ve already written a dung beetle poem? Now I feel like a slacker! 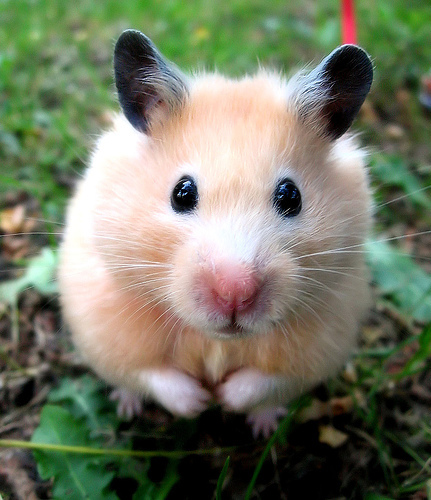 Funny, after staring at that hamster image, I kind of want to get one…. What an amazing interview! Thank you so much Renee and Ken. A mountain of wonderful advice! Can’t wait to pick up one of your books now Ken. Elizabeth, look under “More Stuff About Kenn” in the post — there’s a link to his YouTube channel with animated poems. WI follow Kenn’s blog and loved this interview, Renée. was very surprised by what he had to say about posting his poems on his blog and publishing, good news! @ Dana – Thank you! @ Joanna – I know, wasn’t that an interesting tidbit? What a perfect way to kick off Poetry Month! What is more spectacular than a skateboard-riding hamster crash-master extraordinaire? I loved the poem–and I loved the Skype interview! What fun! Great poem and interview! Wow – What a great start to Poetry Month at NWR. Thank you Kenn and Renee! That was a funny poem. 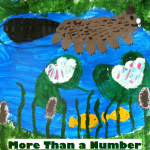 I will have to link to this post when I talk about writing poetry for kids. Thanks Renee and Kenn. Kenn you also made me feel better about posting my own poetry on my blog. Please do link, Rena – Kenn is really a great resource! Renee – What fun! Love to see your National Poetry Month feature up and off to such a great start on No Water River. Kenn’s just a natural, isn’t he? So bouncy and animated. Is it just me, or does he bear a slight resemblance to the hamster in the photo?? I’m looking forward to contributing later in the month (hope my Flipcam recording got safely transported through cyberspace!) and I bow down to the tech wizards who figure out how to design these media-share programs. Congratulations again, Renee, and thanks, Kenn, for sharing. Hi Julie – thanks so much for popping in! Yes, Kenn is clearly a natural performer. And about the hamster…that’s EXACTLY why I chose that photo out of hundreds of options. What tipped you off – the big eyes? Your video has arrived and is awaiting download. Can’t wait to see it! Well, we’ll be off to look for more of Kenn’s poetry because Ethan had to watch the video three times in a row and he giggled a little bit harder every time! Great interview, too. This is an excellent start to poetry month, Renee! Ha! Well, I’m glad Ethan enjoyed it. Kenn’s an excellent performer! Wow, what a great way to start Poetry Month. I love Ken, he’s such a character! Great video and interview. Just a perfect and actually hilarious start to your month of wonderful poets, Renee. I don’t know this poet, I think, and loved every bit. I’m going to share with certain colleagues so they can share with their students. Thank you Ken for a terrific opening act! @ Patricia – Yup, Kenn knows what he’s about when it comes to reading poetry! @ Linda – Kenn is a real favorite with kids, and he does tons of school visits every year. I think your teacher friends would love him! Kenn has such wonderful energy and great enthusiasm for children’s poetry. I think he was a terrific choice to start off what looks to be an amazing series this month. Fabulous website, Renee. Glad I got the chance to “meet” you via the #MMPoetry madness. Hi Susan! Thanks so much for stopping by. Yes, I thought Kenn’s infectious energy and enthusiasm would be a great way to start the month. It was great meeting you in the poetry tournament, too, and reading your wonderful work! I LOVE Mr. Nesbitt’s poetry! I read his book “The Tighty Whitey Spider” a couple of times (I actually posted a poem today about a monkey in his tighty whiteys). I really loved seeing him read his poem and I didn’t know he had a website!! Going to check it out after school today!! Great interview Ms. LaTulippe! Glad you liked it, Eric! You’re going to love Kenn’s site – I can’t believe how much stuff he has on there with poems and contests and lessons — oh, and each poem has an audio recording too, so you can hear him recite just about everything!! Thanks for providing such a terrific blog, Renee, and for giving me the opportunity for such a fun interview! Thanks to you, Kenn, for kicking off Poetry Month with hamster panache! Wow – Thanks, Renee and Kenn, for such an energetic send-off for Poetry Month. Kudos on all the organization and techno-wizardry behind the scenes to make this adventure happen! Thank you, Robyn! Kenn introduced me to this split-screen Skype thingy, and now I’m obsessed! 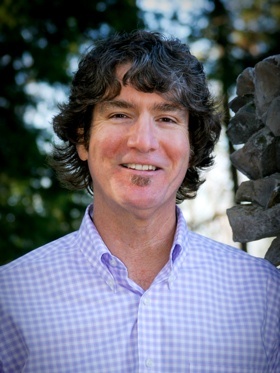 Kenn was not only on the forefront of bringing technology to children’s poetry via his informative website but is a champion of the mission. I use to perform his poem THE ALIENS HAVE LANDED when I was during the 2005-06 school year with Poetry Alive. Nesbitt has landed!!!!!!! What fun, Charles. And seriously – could it be that Kenn was THE first poet online? Oh, this poem has me laughing and remembering when my college roommate had a hamster. It’s been quite some time since I thought of “Shrimpy,” Kenn…so thank you for that! Thank you to both of you for this celebratory poem and interview – a delightful way to kick off the month and inspire all of us and our pets too! a.
I love hearing Kenn read his own poetry. Of course, I love reading his poetry, too,and I won’t pick one method I prefer. Thanks you two for sharing with the rest of us…. Oh, I’m sure you both read Kenn’s poetry with equal pizzazz! Fun poem! I can’t wait to share this with my kids (in our homeschool) We had a hamster for a pet for almost 2 yrs, and I know they’ll love this. Ken’s poetry web site is wonderful. I’ll use it for writing this coming week for poetry month 🙂 Thanks, Renee and Kenn! Tina, I’d love to know how your writing lesson goes! Oh my goodness I loved that so much! I am going to buy that book for my kids! That is the kind of poetry I want to create! Totally impressed. I loved the wackyness of it and that I could just picture it in my mind. Wonderful! Wow Renee (and Kenn) – this is just amazing! Both the poem and the interview!! How refreshing and encouraging to hear that you can put poems on your blog and actually have it turn into something. Perhaps that really is the way to go with poetry. I learned tons from reading this interview – thanks!